Here at Records Cabinets, we use only use the highest quality materials. From hand selected hardwoods and the finest grades of plywoods and veneers, we fashion beautiful cabinetry that will stand the test of time. Need advice on what to do with your kitchen, bedroom, or bath? Our expert staff can assist you in the design and layout of your new space. Our building professionals work hard to thoughtfully design your space with your current and future needs in mind. 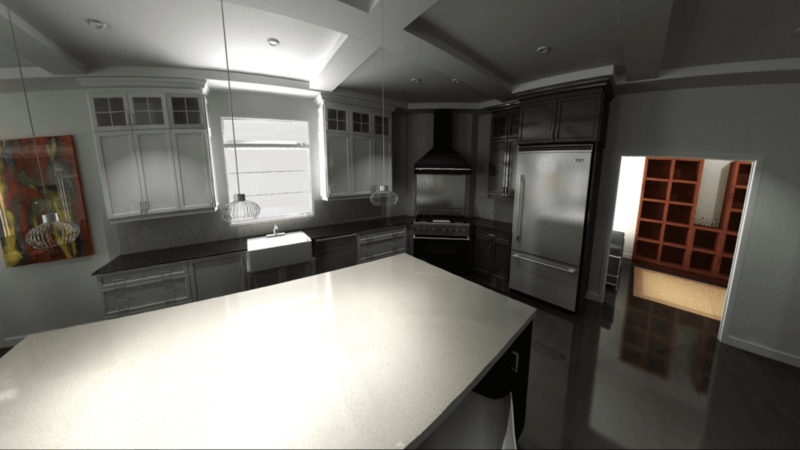 We use state of the art 3D modelling software to provide our clients with a rendering of what their project will look like before we start. This allows you the peace of mind of seeing what the finished product will look like. 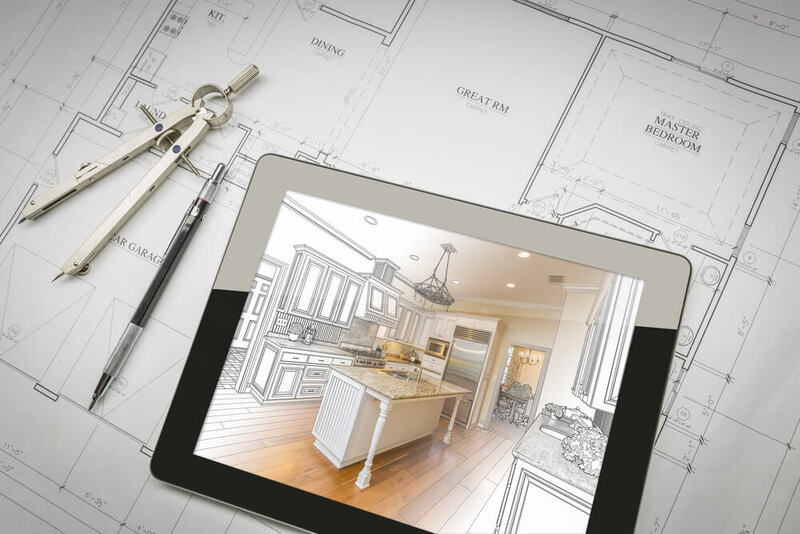 You can even share your rendering with friends and family in excitement for your newly improved home. 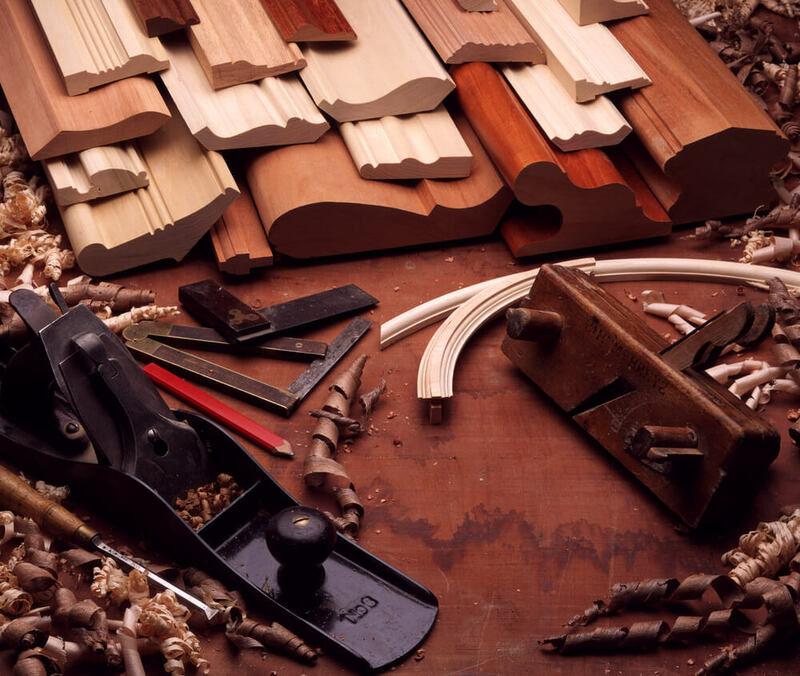 At Records Custom Cabinets and Trim, we utilize the latest in CAD/CAM software and cutting edge CNC technology to produce incredibly precise custom cabinetry, detailed carved moldings, one of a kind mantles, and unique machined newel posts. Our 4 axis CNC router has a large capacity that also allows us to turn large wooden columns, flatten wood slabs, and produce stunning conference tables. 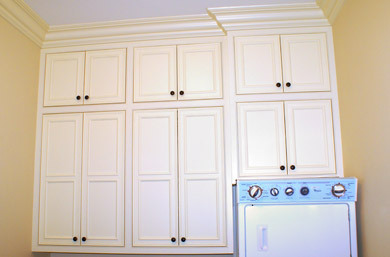 Records Custom Cabinets and Trim does more than just construction. We work out the fine details, like custom finishing on your home improvement project. 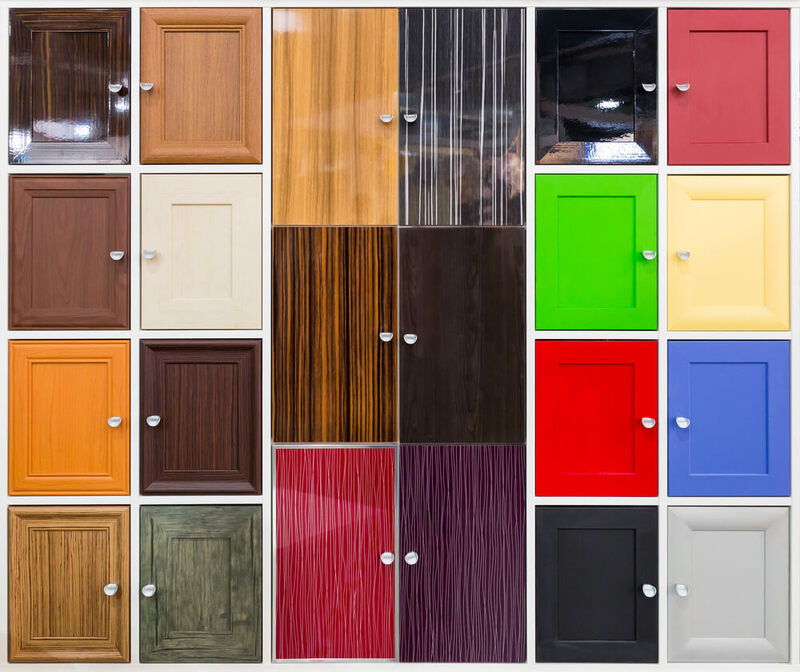 From a sleek glossy enamel finish to a dark rustic stain, we have a wide selection of finishing options for your custom cabinets, millwork, and unique furniture pieces. 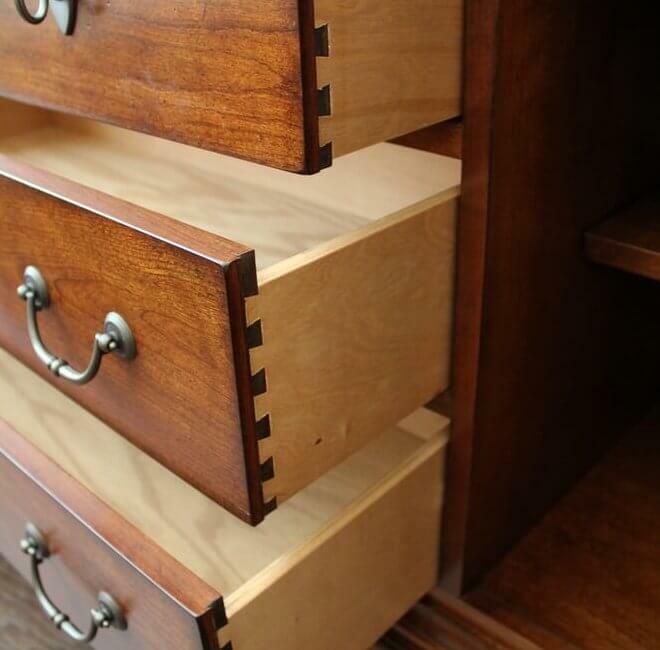 Records Cabinets offers a wide variety of standard and dovetailed drawer boxes. Whether you desire pull out drawers to make reaching things easy, or the latest cool drawer inserts for K cups, cutlery, or even simple drawer dividers, we can accommodate you! Over the last few years, laundry rooms and mud rooms have evolved into some of the most striking and functional rooms in the house! 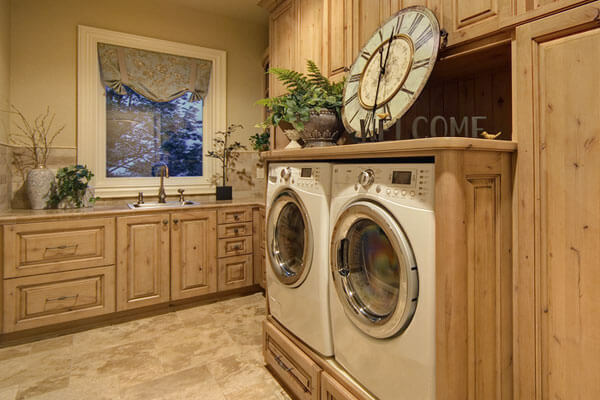 Beautiful cabinetry and functionally stylish built-ins adorn the laundry rooms of the latest model homes! Whether you’re building a new home or remodeling your existing home, an integrated washer and dryer adds a touch of class that will set your house apart! Folding tables, integrated pedestal mounts, built in hanging rods and stunning custom built benches are just a few of the other custom options available. Beauty, function and tons of cabinet space…what more could you ask for? Call Records Custom Cabinets today for all your custom laundry cabinetry needs in the Wichita, Ks. metro area. It’s been said a thoughtfully designed laundry room is the home’s new status room to have and show off, replacing the kitchen, master bathroom and home theater. One thing’s for certain, having a beautiful, bright laundry room does seem to make the arduous task of washing clothes a bit more bearable. 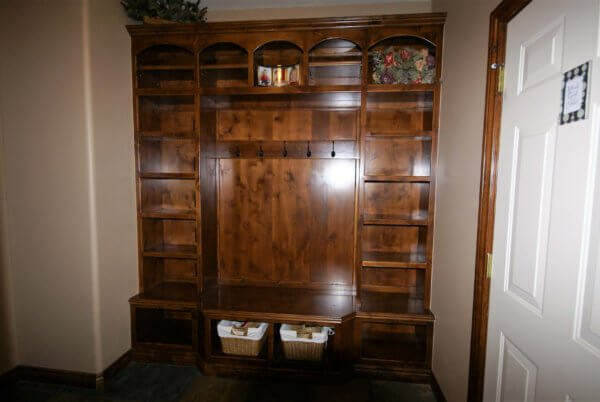 Everybody needs their space, and one of the best ways to give everyone in the family the space they want, is to add a stylish, functional mudroom bench with cubbies and tons of personalized storage. Mudroom benches or drop zones, as they are sometimes referred to, often have individual lockers, ample charging stations for the latest in tech gear, hooks for coats and sporting gear, and even baskets for extra shoes, gloves, and hats. 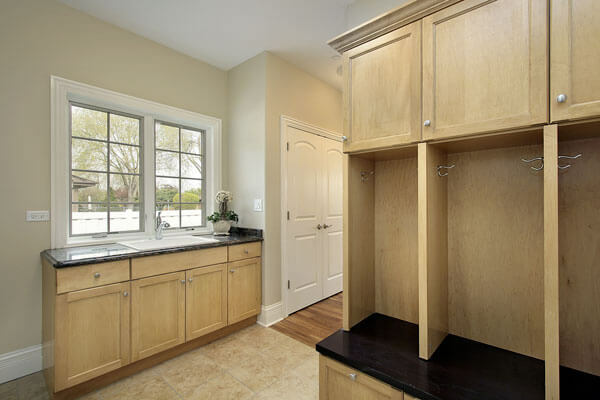 We can design a custom mudroom bench to suit your needs and flawlessly blend it in with your existing cabinetry! Having a hard time picturing what your new or remodeled laundry room might look like in your space? Not sure if your new custom mudroom would look better in maple, cherry or alder? Our computerized design service can help! 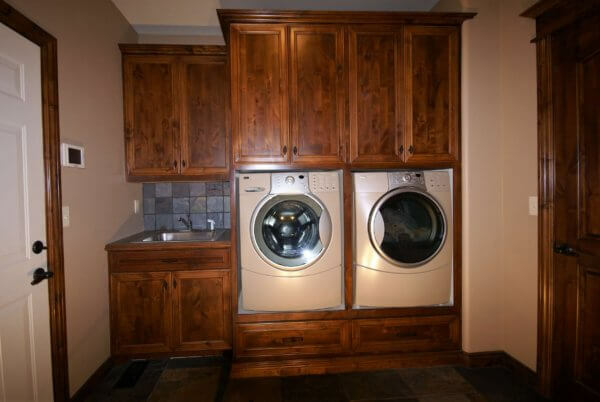 We can design your custom laundry room cabinetry with our cutting edge software and depict your cabinets and built in bench virtually, allowing you to see a n accurate representation of the finished product before the first piece of lumber is even cut. Call us today at (316)733-6800 or contact us online to speak with one of our project managers about your custom laundry room cabinetry or laundry room remodeling needs.